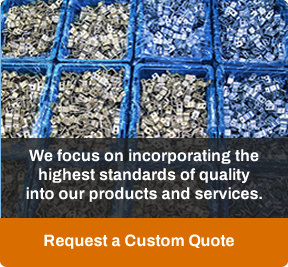 Winzeler Stamping Company offers male and female expansion couplings for your sprinkler / soaker hose assembly. Soaker couplings have rounded corner tails and proper diameter so they can be easily inserted in any standard soaker hose. These couplings are expanded from the inside, preventing leaking and blow-off, yet do not restrict the flow of water. Couplings are made of wrought brass, available for most flat hose sizes. The male end has a rolled thread. Female can be supplied with polypropylene or nylon 6/6 coupling nuts. 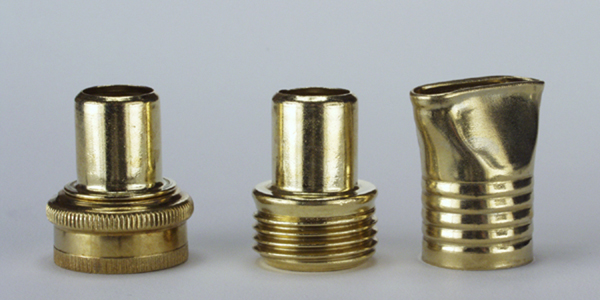 End caps are available in brass or plastic. Available with ¾” NHT and ¾” BSP thread.